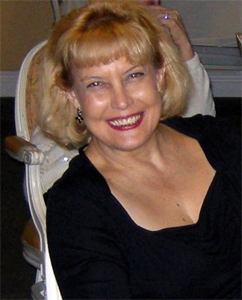 Sheri Fenley is a professional genealogist from Stockton, California who specializes in the genealogical research of North Central California with an emphasis on San Joaquin County. She also focuses on lineage society applications. Sheri is an alumni of the ProGen 1 class completing the course in 2009. As well, she did two years of coursework at the Institute for Genealogical and Historical Research (IGHR) at Samford University. She is the editor of the San Joaquin Genealogical Society newsletter and author of the popular blog “The Educated Genealogist” which was voted as one of Family Tree Magazine’s Top 40 Blogs. Google Hangouts – Google Hangouts allow you to have a video conference with up to 10 other people (for free). This week’s action item is about getting to know an archive and its staff. Sheri Fenley talked about the importance of getting to know the staff at local archives. For this action item first choose a local archives or research library in your local area. Next schedule to visit the archives daily for a week. If you can’t go during the week then go on consecutive Saturdays. You will make progress just having the staff see you return multiple times. You will make more progress if you introduce yourself to the staff, ask them for a brief tour or ask for their procedures and policies. These will all act as ways to help you interact with the staff. After your week of visits or multiple Saturdays you should be well on your well to getting to know the staff at one of your local archives or libraries!